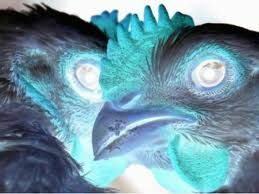 Hong Kong is culling 17,000 chickens after three birds were confirmed to have died from the deadly H5N1 bird flu strain in the past week. The government has banned imports and the sale of live chickens for three weeks after a chicken carcass was found at a wholesale market on Tuesday. Two wild birds were also found to have died of the the virus. The government said it was tracing the source of the chicken carcass, but it was not clear whether the chicken came from a local farm or was imported.